Lambswool fairisle ladies cardigan. Machine washable. Sizes S-XL. 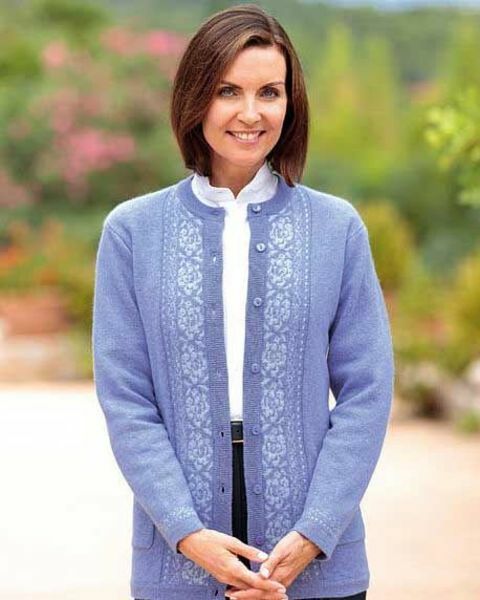 Our own exclusive design in luxurious lambswool ladies cardigan, specially washed for that extra softness. Crew neck style with attractive placket and cuffs and front patch pockets. Back Length approx 27".